French roots meet New England flair in a refined yet contemporary space at L’Espalier, a restaurant by James Beard-winning chef Frank McClelland. Its farm-to-table dishes have all the makings of a traditional feast, but the modern twists are anything but tired. While the popular prix-fixe here starts at a hefty $65 for five courses for lunch, it’s a splurge that many Bostonians and visitors alike are willing to splurge for. (And consider that the similar six-course dinner costs $115.) Current menus feature creations like a sweet lobster bisque, fragrant foie gras “torchon,” halibut with scallops and mushrooms, and local cheeses. 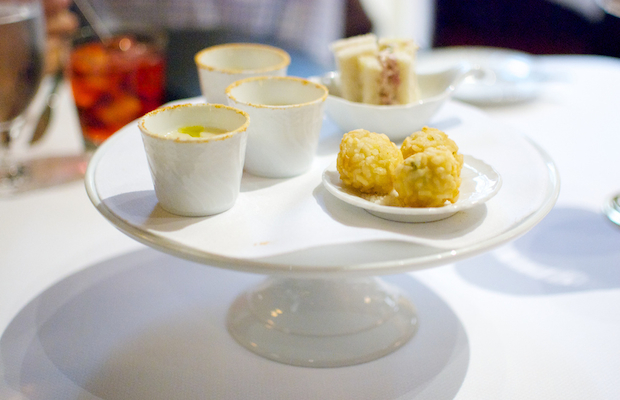 A meal at Del Posto is a grand affair. From the moment you step up to a sweeping marble staircase, you’re whisked into a world of old-fashioned serenity. By day, the airy corner restaurant is illuminated by soft natural light; by night, dim lamps and flickering candles cast an intimate glow. As impressive as the space is, it’s still the Italian classics that steal the show. We think $39 is a small sacrifice to make for a three-course experience comprising, for example, of a lobster salad with fresh burrata, followed by a lamb orecchiette with rye crumbs, and wrapped up with a creamy browned butter panna cotta featuring apples and puff pastry. For comparison, this Relais de Chateaux restaurant serves up two tasting menus for dinner, one at $125 for five course or $179 for eight courses. Social media tip: Look on Foursquare for a check-in offer of free prosecco. Approach lunch at Blackbird the way you would a dinner soiree at a lucky friend’s fancy apartment. Expect trendy and minimalistic decor, but with a laidback ambience. To the delight of no-fuss gourmands with adventurous tastes, this New American hotspot has become more creative under the guidance of a chef hailing from the famed Alinea. 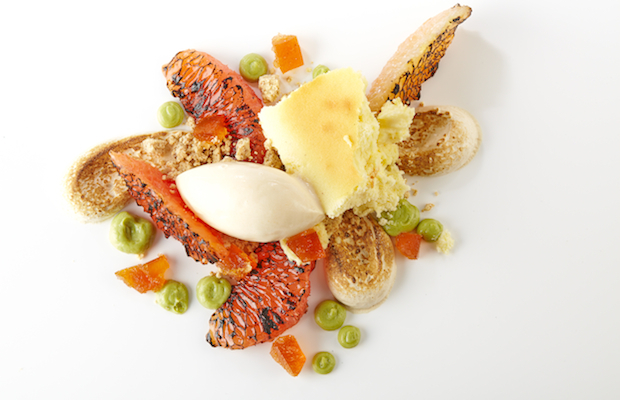 At lunchtime, the three-course prix fixe is a steal at $22, offering up the likes of parsnip soup with carrot marmalade and garlic chips, wood-grilled sturgeon with salsify and grapefruit, and winter coupe with coconut sage ice cream and almond crumble. A la carte appetizers start at $7 and entrees at $15 – a small fraction of what you'd pay in the evening. (For dinner, an eight-course tasting is $120; apps are $14; and entrees are $38.) Either way, the dishes have all the freshness you’d expect in a farm-to-table establishment at just-right portions. 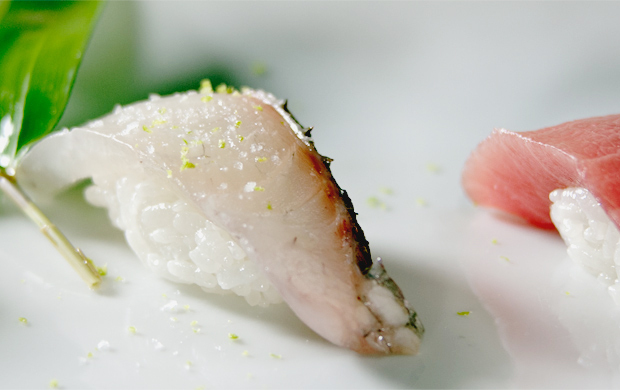 This tiny restaurant forgoes the shiny veneer of many other establishments in America’s sushi capital, pouring all its energy into the season’s boldest flavors. Depending on the month, slices of toro and red snapper might make their way to the table, alongside a mix of traditional dressings like sea salt and shoyu with more modern enhancements like yuzu gelee and manga slices. Repeat customers know to forgo the lunch "combinations" and opt instead for the $45, 10-piece sushi omakase or $50 sashimi and sushi omakase. Both start with soup and salad and end with a hand roll, frequently (but not always) a blue crab roll with generous amounts of meat and pickled cucumber.